Popular English novelist Sir Terry Pratchett OBE, Sadly passed away on Thursday, 12 March 2015 at the age of 66 after a lengthy battle with Alzheimer’s. Born 28th April in 1948. He is best known for his frequently comical work in the fantasy genre In particular the popular and long-running Discworld series of comic fantasy novels. Pratchett’s first novel, The Carpet People, was published in 1971, and his first Discworld novel The Colour of Magic was published in 1983. Since then he has been very prolfc, writing on average, two books a year . After finishing the fourth Discworld novel, Mort, he decided to focus fully on hs novels and make his living through writing and published his fifth book Equal Rites soon after.Since then He has written many other discworld Novels including, Wyrd Sisters, Witches Abroad, Monsterous Regiment, Hogfather, Small Gods, Soul Music, Interesting Times, The Truth, The Fifth Elephant, Maurice & his Educated Rodents, Carpe Jugulum, Hatful of Sky, Wee Free Men, Making Money, Wintersmith, Thud!, Night Watch, Unseen Academicals, I shall Wear Midnight, Raising Steam, Dodger, Snuff and The Shepherds Crown. The novels all had distinctive cover art by Josh Kirby and Since Kirby sadly passed away in October 2001, the covers have been designed by Paul Kidby. Many of Pratchett’s books have also been adapted for Radio and Television, the BBC’s Woman’s Hour broadcast The Colour of Magic as a serial in six parts and Truckers was adapted as a stop motion animation series for Thames Television by Cosgrove Hall Films in 1992. Johnny and the Dead was also made into a TV serial for Children’s ITV on ITV, and in 1995. Wyrd Sisters and Soul Music were adapted as animated cartoon series by Cosgrove Hall for Channel 4 in 1996. In January 2006, BBC One also aired a three-part adaptation of Johnny and the Bomb. A two-part, feature-length version of Hogfather starring Michelle Dockery, David Jason and featuring the voices of Christopher Lee and Ian Richardson, was first aired on Sky One in the United Kingdom in December 2006, and on ION Television in the U.S. in 2007. A two-part, feature-length adaptation of The Colour of Magic and its sequel The Light Fantastic aired during Easter 2008 on Sky One. A third adaptation, Going Postal was aired at the end of May 2010. The Sky adaptations are notable also for the author’s presence in cameo roles. He remains a hugely popular author to this day and many of his books have occupied top places on the best-seller list. 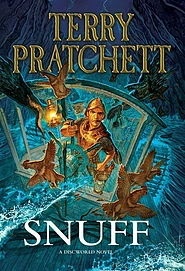 According to the Bookseller’s Pocket Yearbook from 2005, in 2003 Pratchett’s UK sales put him in 2nd place behind J. K. Rowling and in the paperback sales list Pratchett came 5th, behind James Patterson, Alexander McCall Smith, John Grisham and J. R. R. Tolkien). His sales in the UK alone are more than 2.5 million copies a year. 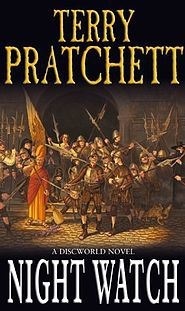 In 1998 Pratchett was appointed Officer of the Order of the British Empire (OBE) “for services to literature” . In addition, he was knighted in the 2009 New Year Honours. In 2001 he won the Carnegie Medal for his children’s novel The Amazing Maurice and his Educated Rodents. In December 2007, Pratchett publicly announced that he was suffering from posterior cortical atrophy, a variation of Alzheimer’s disease and, subsequently, made a substantial public donation to the Alzheimer’s Research Trust. He also filmed a programme chronicling his experiences with the disease for the BBC and His last novel “The Shepherd’s Crown” was published posthumously in 2015. Graham Coxon the Guitarist/ Singer with Blur was born 12th March 1969. Blur were formed in London in 1988 as Seymour, the group consists of singer/keyboardist Damon Albarn, guitarist/singer Graham Coxon, bassist Alex James and drummer Dave Rowntree. Blur’s debut album Leisure (1991) incorporated the sounds of Madchester and shoegazing. Following a stylistic change influenced by English guitar pop groups such as The Kinks, The Beatles and XTC, Blur released Modern Life Is Rubbish (1993),Parklife (1994) and The Great Escape (1995). As a result, the band helped to popularise the Britpop genre and achieved mass popularity in the UK, aided by a chart battle with rival band Oasis in 1995 dubbed “The Battle of Britpop”. In recording their follow-up, Blur (1997), the band underwent another reinvention, showing influence from the lo-fi style of American indie rock groups. “Song 2″, one of the album’s singles, brought Blur mainstream success in the United States. Their next album, 13 (1999) saw the band members experimenting with electronic and gospel music, and featured more personal lyrics from Albarn. In May 2002, Coxon left Blur during the recording of their seventh album Think Tank (2003). Containing electronic sounds and more minimal guitar work, the album was marked by Albarn’s growing interest in hip hop and African music. After a 2003 tour without Coxon, Blur did no studio work or touring as a band, as members engaged in other projects. In 2008 Blur reunited, with Coxon back in the fold, for a series of concerts and have continued to release several singles and retrospective releases. In 2012, Blur received a Brit Award for Outstanding Contribution to Music. Blur released their eighth album Magic Whip in 2015 it was the band’s first studio album since Think Tank (2003), marking the longest gap between two studio albums in their career, and their first with guitarist Graham Coxon since 13 in 1999. Steve Harris, from Awesomely noisy Heavy Metal band Iron Maiden was born 12th March 1956. Iron Maiden hail from Leyton in east London and were formed in 1975 by bassist and primary songwriter, Steve Harris. Since their inception, the band’s discography has grown to include a total of thirty-six albums: fifteen studio albums; ten live albums; four EPs; and seven compilations. Including The Number of the Beast, Somewhere in Time, Seventh son of a Seventh Son, Peice ofMind, Powerslave and The Book of Souls. Pioneers of the New Wave of British Heavy Metal, Iron Maiden achieved success during the early 1980s. After several line-up changes, the band went on to release a series of U.S. and UK platinum and gold albums, including 1982′s The Number of the Beast, 1983′s Piece of Mind, 1984′s Powerslave, 1985′s live release Live After Death, 1986′s Somewhere in Time and 1988′s Seventh Son of a Seventh Son. Since the return of lead vocalist Bruce Dickinson and guitarist Adrian Smith in 1999, the band have undergone a resurgence in popularity, with their latest studio offering, The Final Frontier, peaking at No. 1 in 28 different countries and receiving widespread critical acclaim. Considered one of the most successful heavy metal bands in history, Iron Maiden have sold over 85 million records worldwide with little radio or television support. The band won the Ivor Novello Award for international achievement in 2002, and were also inducted into the Hollywood Rock Walk in Sunset Boulevard, Los Angeles, California during their United States tour in 2005. As of August 2011, the band have played almost 2000 live shows throughout their career. For the past 30 years, the band have been supported by their famous mascot, “Eddie”, who has appeared on almost all of their album and single covers, as well as in their live shows. 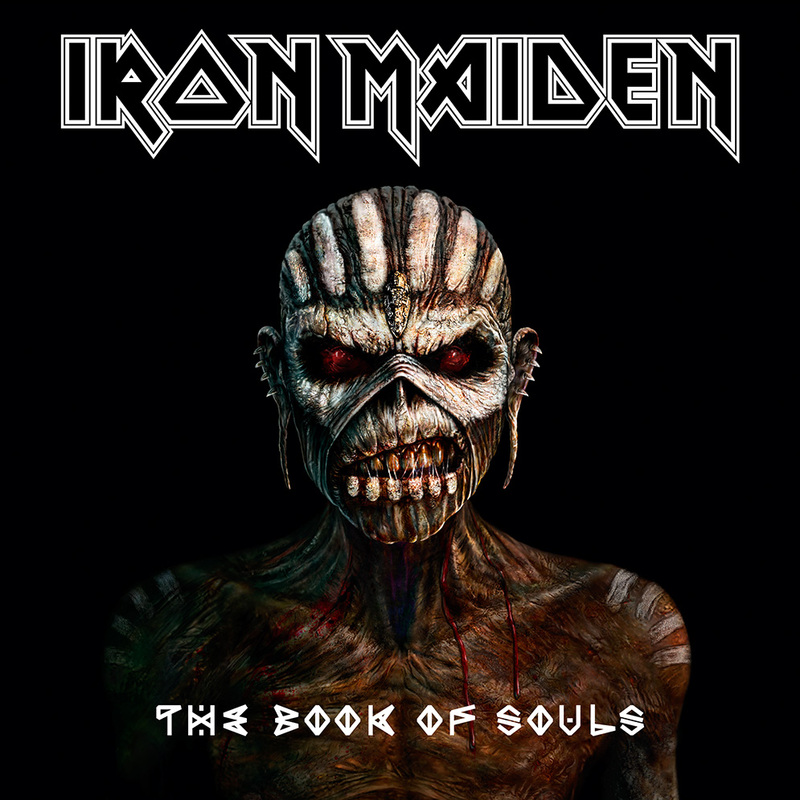 The latest Iron Maiden album book of Souls was released in 2015. World Day Against Cyber-Censorship takes place annually on March 12. It aims to rally computer users in fighting repression of online speech. Reporters Without Borders was also created this day to celebrate the work of brave individuals who have promoted free expression on the Internet. The annual Netizen Prize is awarded to bloggers, online journalists, and cyber-dissidents, who have demonstrated exceptional dedication to this cause. It was first observed on March 12, 2008 at the request of Reporters Without Borders and Amnesty International. A letter written by Jean-Francois Julliard, Secretary-General of Reporters Without Borders, and Larry Cox, Executive Director of Amnesty International, was sent to the Chief Executive Officers of Google, Yahoo! & Microsoft Corporation to request observation of the day. 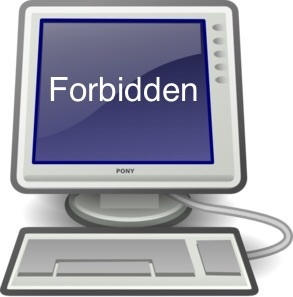 The Electronic Frontier Foundation remains dedicated to reporting cases of online censorship from all regions of the world, and emphasize the importance of online anonymity in preserving individuals’ right to free speech, with an ongoing feature, This Week in Censorship, which covers global stories of imprisoned bloggers, filtered content, blocked websites, and instances of Internet disconnection. A broad array of reasons are offered as justification for censorship. Bloggers in Thailand face imprisonment for criticizing the monarch. In Pakistan, the Telecommunications Authority has blocked websites, banned words from SMS texts, and most recently, has released a request for proposals to build a national blocking and filtering system: All in the name of fighting “obscene content.” The Turkish government has implemented a so-called “democratic” opt-in filtering mechanism for content that is deemed unsuitable for children and families. Another common trend is censorship enabled in the name of battling copyright violations. Through our Global Chokepoints project, we are monitoring instances of pro-copyright laws that justify filtering of content, websites blockages, or Internet disconnection to fight infringement. Censorship remains rampant in the Middle Eastern region. In Syria, Iran, and elsewhere, bloggers continue to face imprisonment, and common users have limited access to content online due to state-mandated blocking and filtering programs. Another ongoing issue being covered are authoritarian states using Western-based surveillance technologies to monitor and spy on their citizens. State authorities can use the collected data to arrest, harass, or torture individuals accused of participating in political dissent.